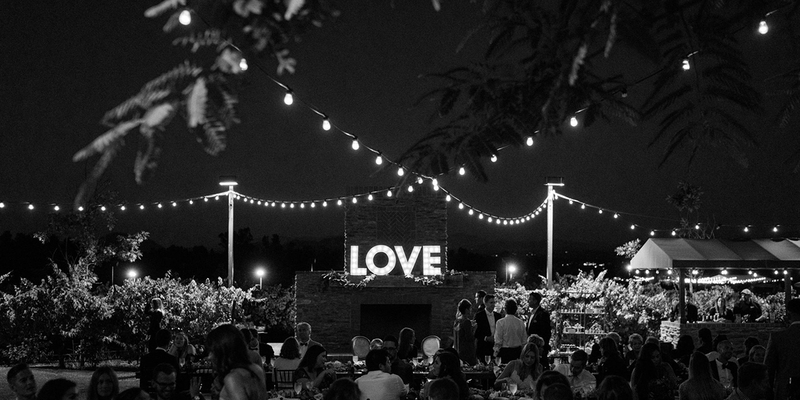 Jessica and Garron’s wedding was one of the first weddings I was a vendor for with Couture Events. 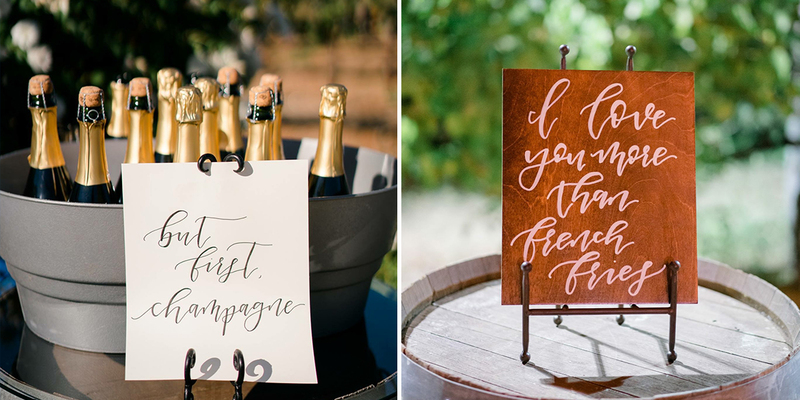 Part of what made it so special is that I was able to combine my calligraphy work with some of my crafting skills. One of my favorite things is when couples say, “Do whatever you think is best! I love your style, so I trust you!”. It’s my favorite thing to hear, mainly so I don’t feel like I’m bothering anyone by asking 100 questions about something, but that I can make those small decisions based on what I think they would like the best. 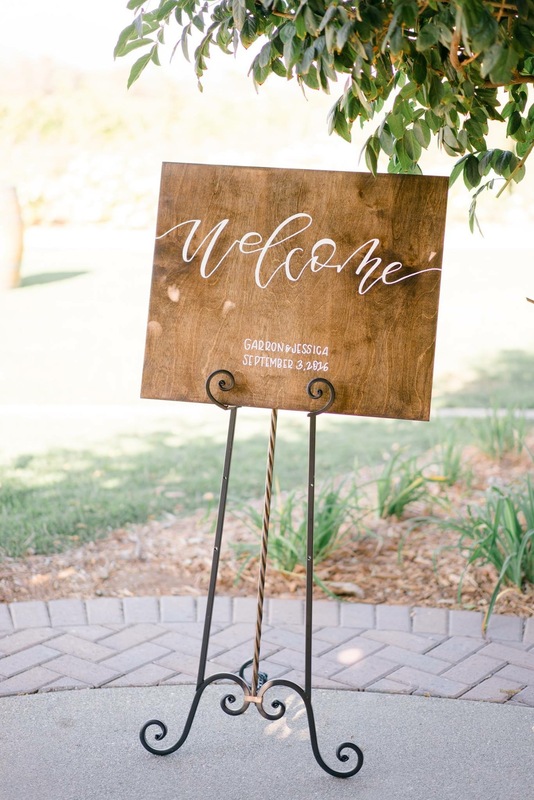 Jessica and Garron style is very similar to mine – we both like the dark wood stain with white writing, enjoy spending time at wineries, and always remember to drink champagne first. 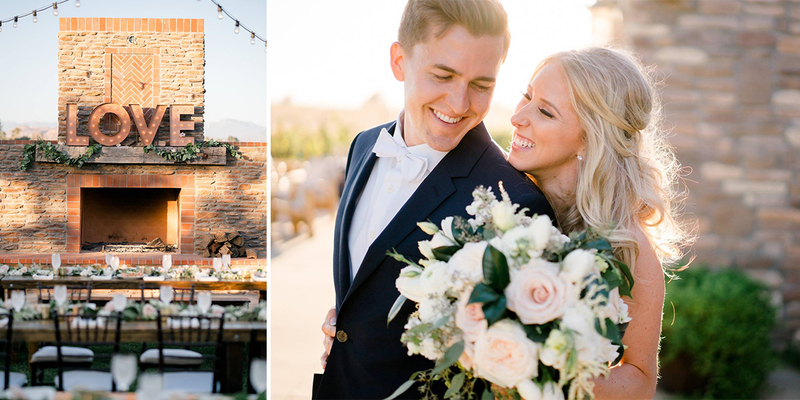 See some of my favorite images from their special day! 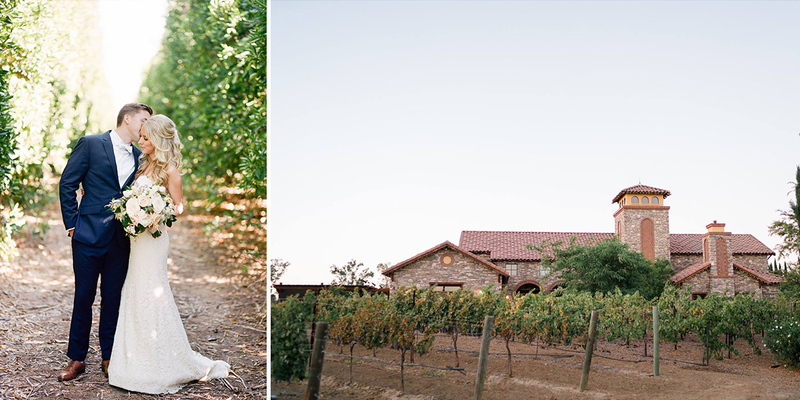 How gorgeous is Lorimar Winery!? 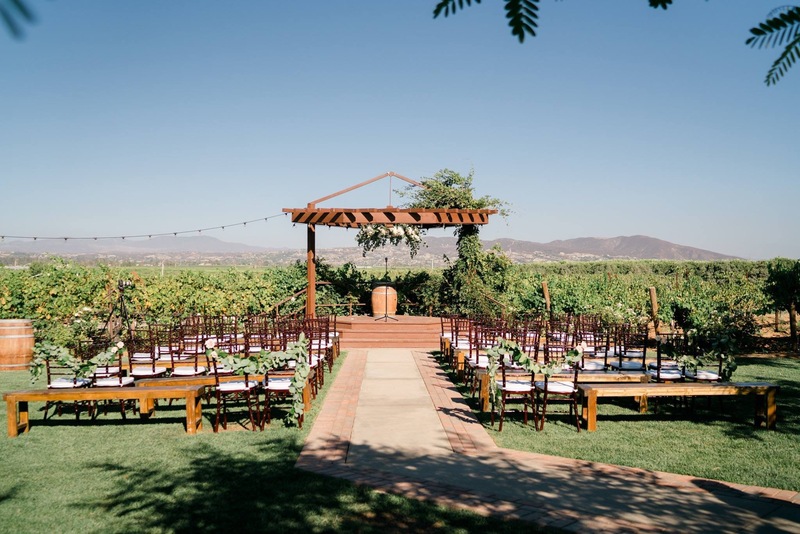 Their venue is a Southern California wine lovers dream! Seeing my signs propped up like this is everything! Loving this light and the way the greens in the back dip over just the top of it. 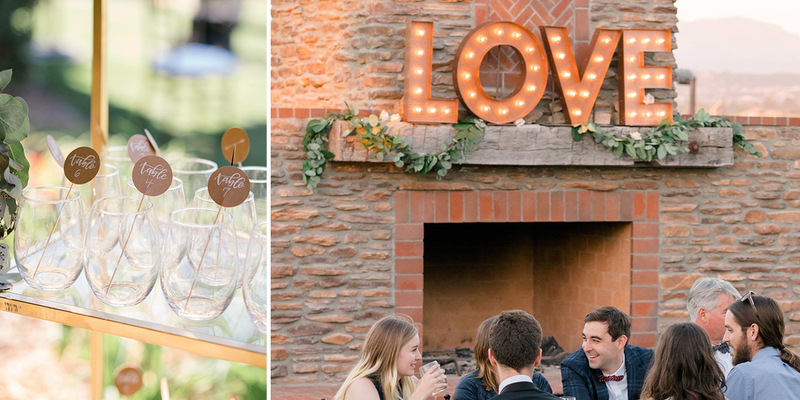 Nothing makes a wedding more perfect than the people you share it with! 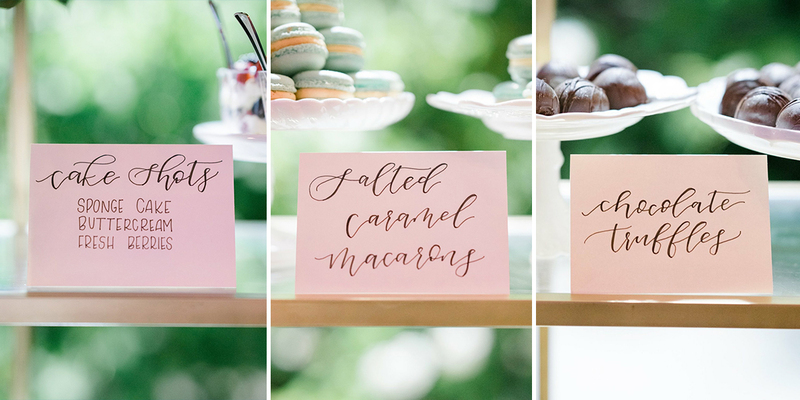 When you get signage requests like this – you know you’re really going to love working on a wedding like this! I mean champagne and french fries, c’mon! Nothing but love & desserts over here! Congrats again Jessica and Garron – it was such a wonderful day and I’m so happy I got to be a part of it!